The year was 2016, and Cadillac had just announced the 2016 CT6 sedan – the crown jewel of GM’s vehicle portfolio that was part of a strategic push to bring Cadillac back to greatness, a plan that – at this point – seems to have been crippled. 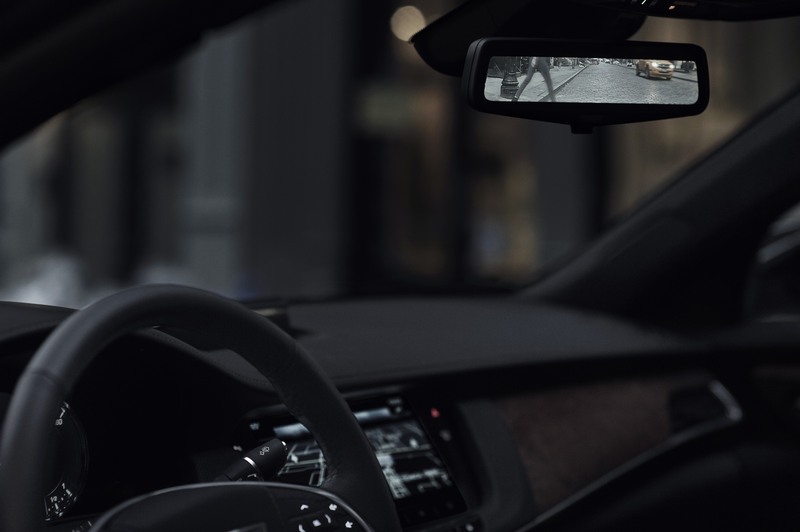 Regardless, the CT6 introduced a very innovative GM technology: a Rear Camera Mirror, which replaces the traditional rear view mirror with a video feed that eliminates all obstructions associated with a typical mirror while delivering improvements in rear visibility. 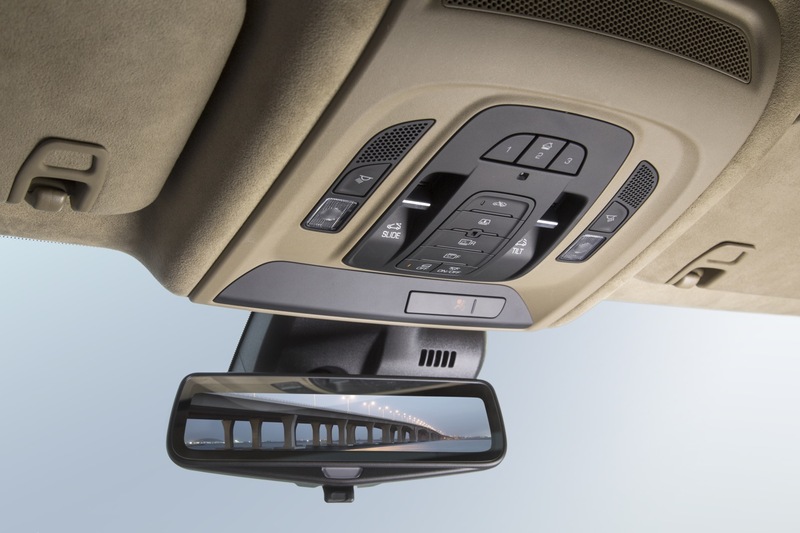 Now, GM is introducing the second generation of the system that delivers various improvements over the last-generation model. 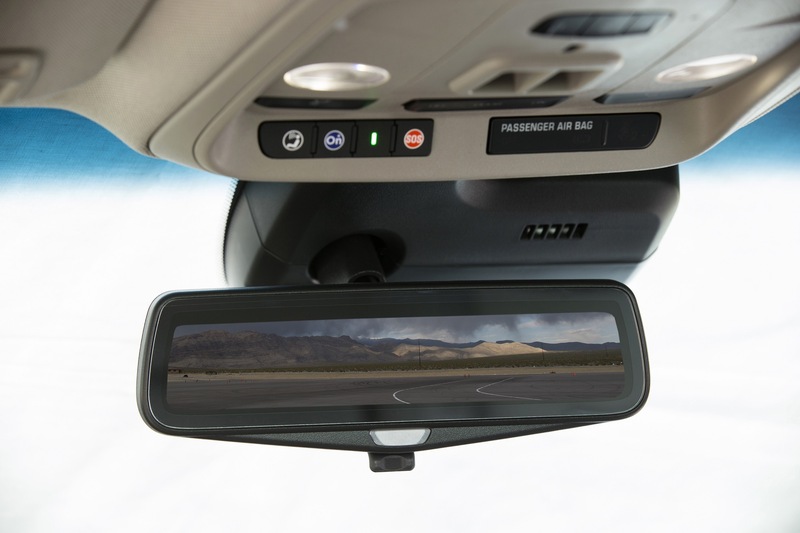 The GM Rear Camera Mirror is the result of at least 10 patents – one for the streaming video mirror and nine for video processing. 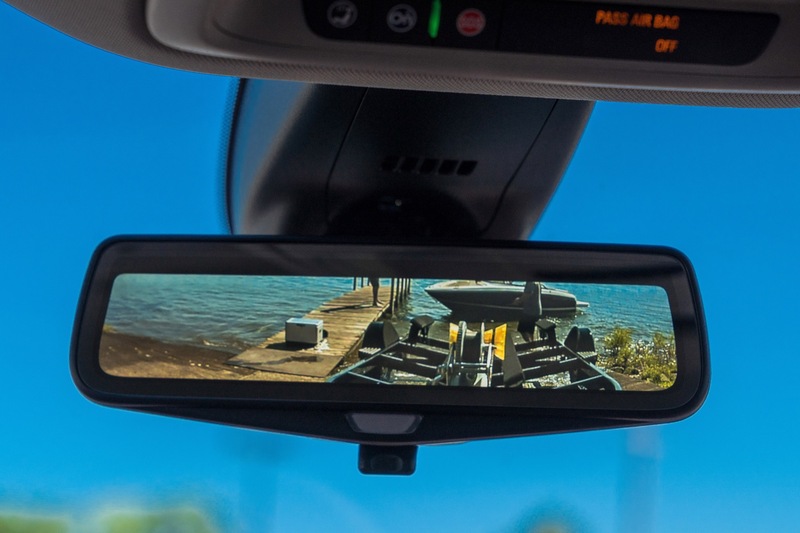 The patents cover innovations in the wide field of view camera image calibration, de-warping, glare reduction and camera hardware design. 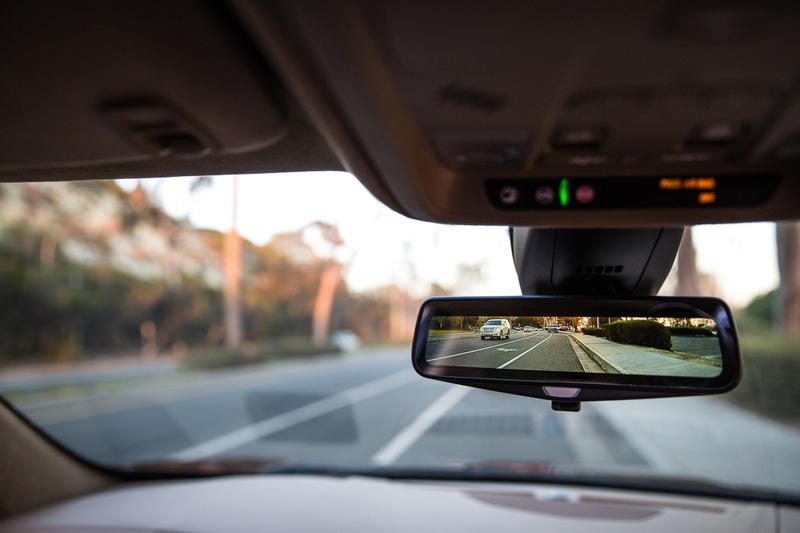 A specialized camera mounted at the rear of the vehicle provides a live stream video to an LCD display located in the mirror. 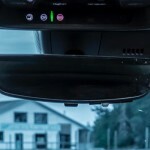 Light and sharp imagery is made possible by the camera’s high-dynamic range, while the lens itself is covered in a hydrophobic coating that repels water during wet driving conditions. 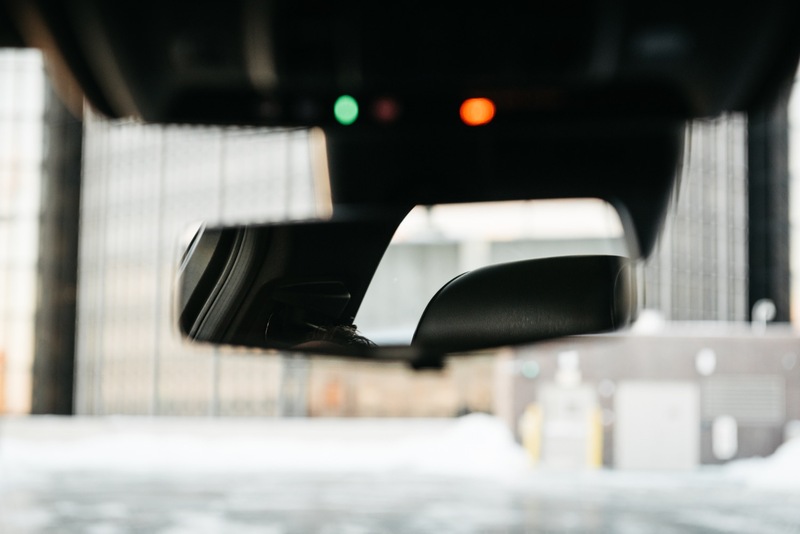 The result is the elimination of potential objects obstructing the rear headrests, pillars, roof, and passengers sitting in the rear seat, along with a 300 percent increaser in rearward visibility roughly four times greater than that of a traditional mirror. 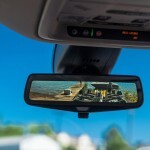 Those who aren’t keen on the new innovation can simply “flip” the mirror down, reverting to a traditional rearview mirror experience. 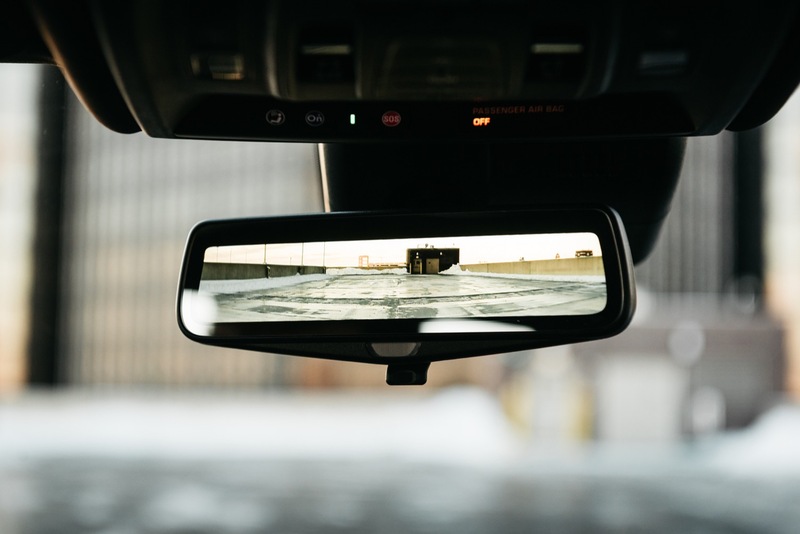 For the 2018 model year, a rear camera washer was introduced to the Rear Camera Mirror system. 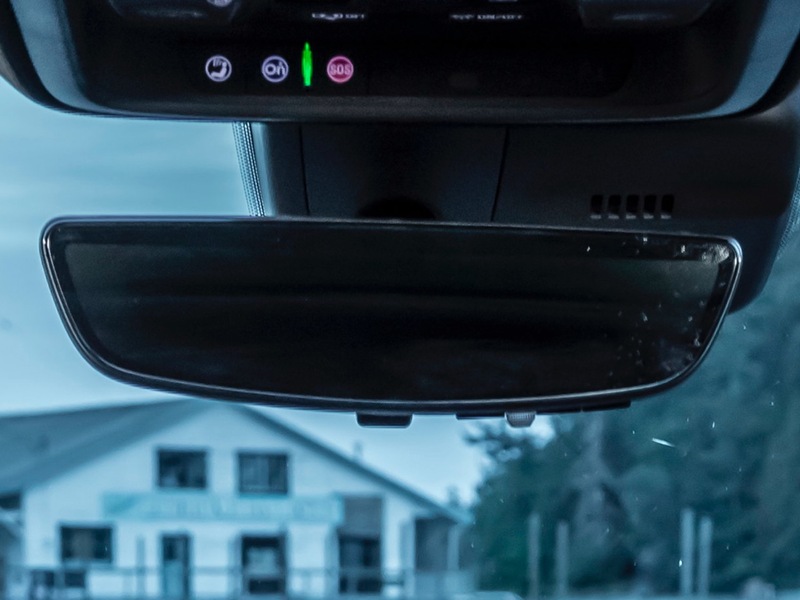 The washer shoots a high-pressure stream of washer fluid on command to clear off dust, mud, snow, ice or any other item that could reduce visibility. 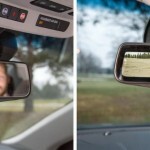 Now, GM’s Rear Camera Mirror is getting several upgrades – five, to be exact – that introduce the second generation of the system. 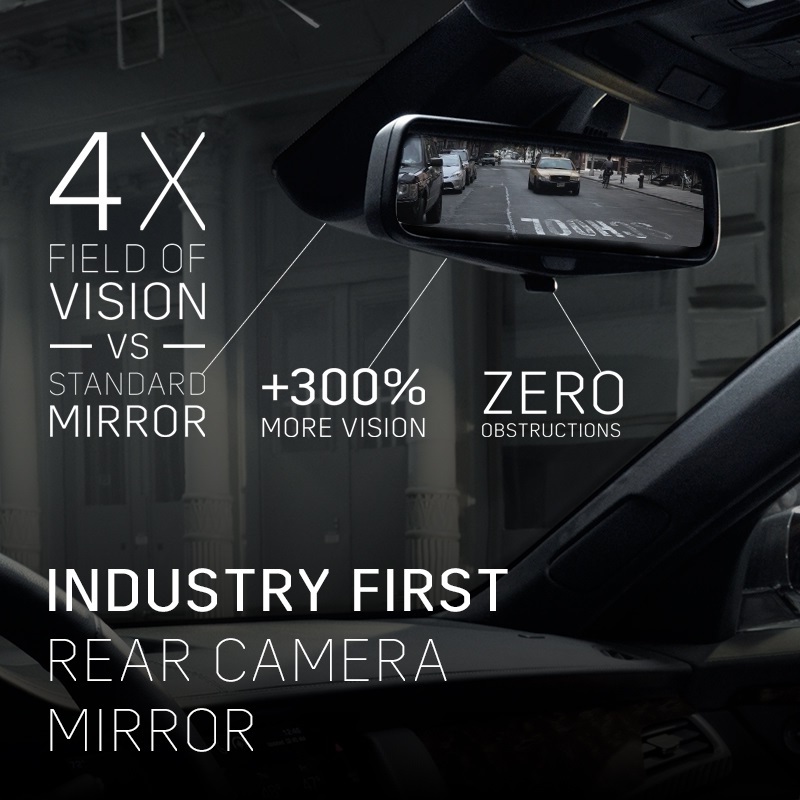 First up is the frameless mirror design, which is purely an aesthetic enhancement that makes the camera mirror more attractive. 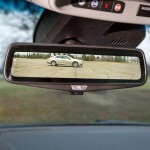 That’s probably the easiest way to differentiate between the two generations of the Rear Camera Mirror. 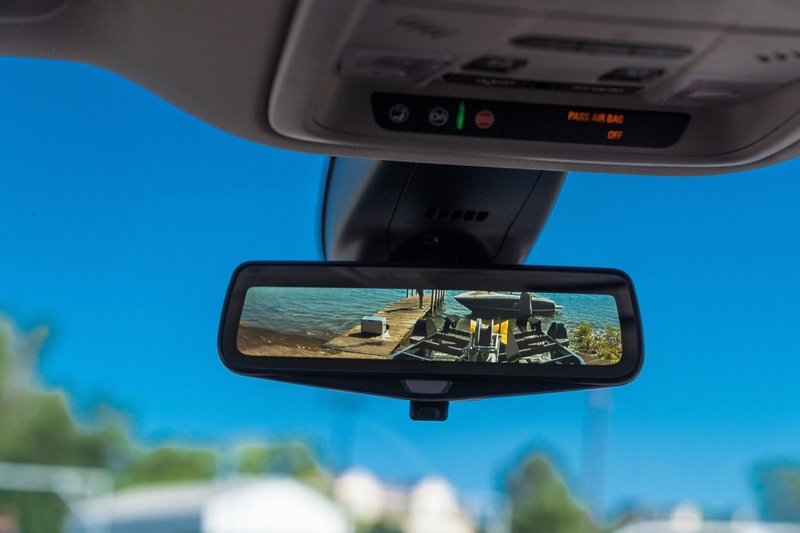 Second is a bump in screen and camera resolutions, from 1280 x 240 pixels in the first-gen to 1440 x 300 in the second-gen. Third are increased brightness adjustment intervals: whereas the first-gen system offered three brightness levels, the second-gen system offers five. 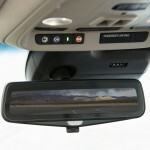 In addition, drivers will be able to change the tilt of the camera as well as to zoom in and out, as needed. 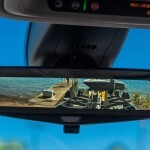 Since its debut in 2016, the rear view camera has found its way into various GM vehicles. 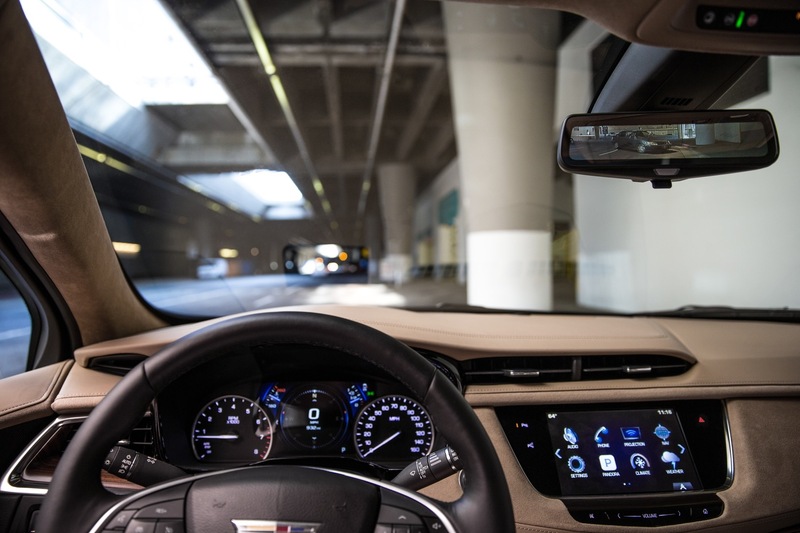 The upgraded, second-gen system was introduced in the 2019 Cadillac XT4 and 2019 Cadillac CT6, the latter of which will be discontinued. 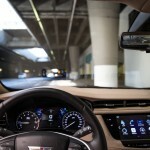 When you start the car it displays the Cadillac crest, and then it shows a picture of all the discontinued models. 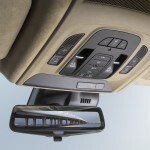 On a lighter note, why don’t they ever make the windshield mounted mirror power adjustable? Feels like an insult to give the CT6 an upgrade just as it is set to die. I agree. It’s an insult and at this point, who really cares. 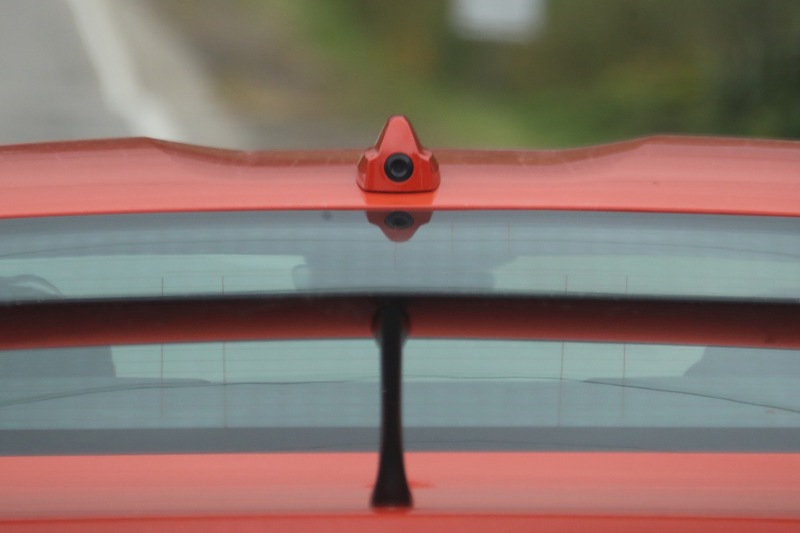 Like GM’s pioneering NightVision, it’ll be gone and dropped by the time the seasons change again. 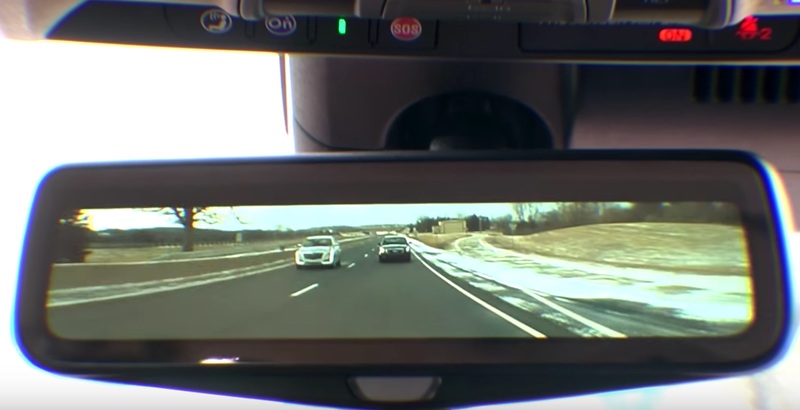 But….But….what about those amazing reaction from the real people looking at Chevys for the first time. Or that one where the 3 girls were so amazed by the sound system in the XT5 that they watched the rain fall. Damn. I woulda never thought. in all seriousness. 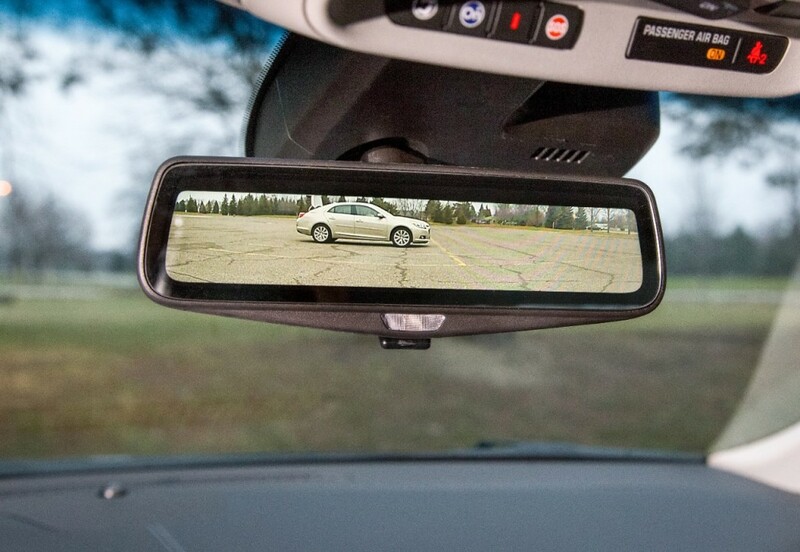 I’m sure that if GM had put out at least one…just one single commercial on the CT6, XTS, Cruze, and Volt during their lives. They would not be axing them. And yes, I’m well aware of the Volt ads that were run before the car even came out, but its been over 10 years. Come on! GM claims to be “all in” on electric, however they are still riding on the shaft of big oil. I don’t mean to sound like one of those tree huggers, but how can a company claim to be “green” when they are cutting all (both) of their hybrids, and not marketing or forcing dealers to keep stock of their only full electric car?? I personally would NEVER drive a hybrid or electric car, however a lot of people will. 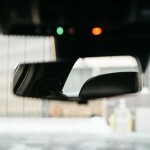 What happened to all of those hybrids GM magically created right after the big bailout? Just imagine if instead of axing them, GM had continued to improve them. Maybe we would have a Suburban that gets 30 MPG. here is your cruze commercial. oops again. here is volt commercial. i see a pattern developing here. That is a GREAT Volt ad. It is a shame that I have never seen it before. And I own a 2012 Gen-1 Volt and a 2017 Bolt! I think I have seen 1 Bolt TV ad in the last year, but there are never ending “Truck Month” ads running 50 times per day….. It is just sad that these excellent vehicles were not advertised by GM and stocked for sale by the dealers…. I just checked. There are exactly 2 Volts and 2 Bolts total on the lots of the four local Chevy dealerships. And they wonder why sales are so low….. The table is missing the Traverse. Well, interesting. CT6 with upgrades to be cancelled. I just got one in Sept of this year. Not it is going to be discontinued? Feel like I got a nice Packard just before its demise. 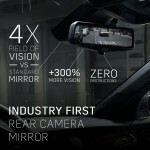 GM is dead. All the foreign makers continue to make fine sedans and will continue to do so. 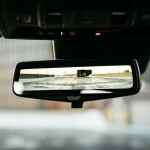 Cadillac (and GM) is doomed, to be bought by some Chinese with pockets full of our cash. (our cash by the way) Shame on GM. Hope the stockholders take away those Golden parachutes you all vote for your self. And yet I’ve seen the XT4 commercial like 3 times a day at the least for the past 4 months lol actually come to think of it, I see multiple gm commercials every day and then maybe a foreign auto brand commercial and that’s it. 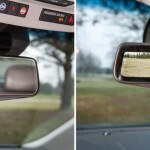 DUMB the new Camaro is not coming w/2nd Gen rear view cameras! GM FAIL. 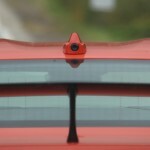 This should be standard on every Camaro, and every other car GM has designed to have limited rear visibility. Make it optional on every car. 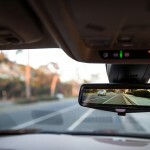 It’s a safety feature and it could be a decisive selling point for comparison shoppers.